Yvonne Z. Burke : “Las Vegas’ Answer to your Financial Needs” “Providing Las Vegas with Financial Advice for over 30 years”. Yvonne Z. Burke has been in the Financial Services industry since 1991. She joined Alpha & Omega Financial Services, Inc. in 2005 and holds a Life & Health insurance license for the State of Nevada as well as Series 6, 63, 7, 65, 24 and 26 Security licenses. As Brokerage Director of Alpha & Omega Financial Services, Inc., Yvonne manages the day-to day agency business and securities operations. 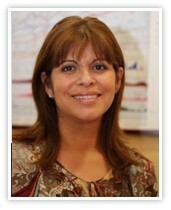 Born in Ponce, Puerto Rico, Yvonne graduated from Penn State University with a degree in Pre-law. She moved to Las Vegas, Nevada in 1994 and enjoys spending time with her two children Ally & Ryan. She is an active member and volunteer of her church.